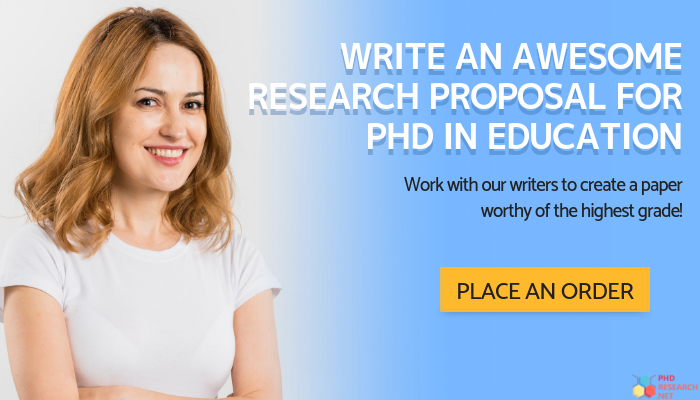 Explore the best and latest Education PhD research proposal topics proposed by our professional services that help with research proposal in Malaysia and other countries and make a real difference to student lives all over the world. When you conduct high-quality research and apply it to real-world situations, you will have truly completed a doctorate that has a real and measurable effect on the educational experience of every student you encounter. Read on to get to grips with all the things you ought to remember when choosing your topic of focus in the field of education. Selecting a topic of genuine value to the educational system is not that simple and can take a fair amount of in-depth research. Choosing the most useful PhD thesis topics in education is a noble consideration but not the only thing you should be thinking about. Of all things, your own personal interest in a given topic is the most vital factor in your success. Examining all the different possible PhD thesis topics in education will give you the best chance of picking a subject that enthralls you. The vast majority of graduate schools offering qualifications in education do so by sticking to a number of very important principles. If you want to choose an important and interesting subject, you need to make sure that you also adhere to these tenets. You can find out which topics are currently being prioritized by different instructions by getting in touch with them directly. 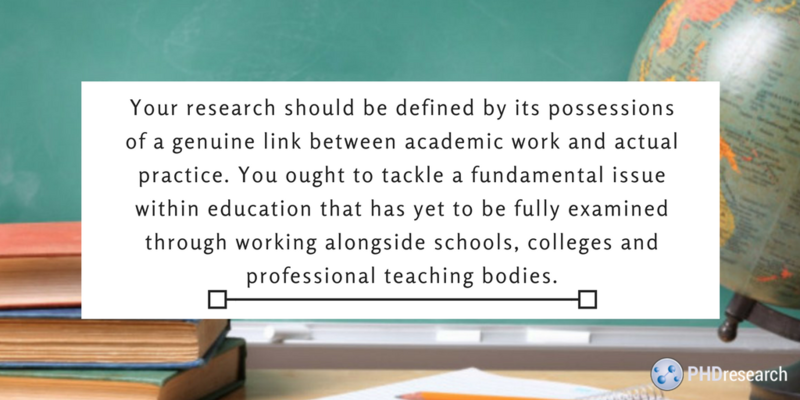 Your research should be defined by its possessions of a genuine link between academic work and actual practice. You ought to tackle a fundamental issue within education that has yet to be fully examined through working alongside schools, colleges and professional teaching bodies. It’s up to you whether you choose to focus on a regional, national or international issue as different topics apply at different levels of the educational system. It would be best if you were to choose a topic that furthers existing links between different specialties and seeks to build new bridges between formerly unassociated topics. Forging a new path in any field is difficult so you would be wise to refer to the advice of online experts as well as your own supervisors. Though it sounds somewhat materialistic and looks as if you’re jumping through hoops to fulfill various criteria, getting your PhD relies on your ability to publish articles in peer-review journals. You need to choose a topic that offers plenty of scope for publishing material. Ask faculty members and online academics alike for advice on which are the hot topics right now. Sifting through all the various research topics for PhD in education can be quite a chore. While graduate school websites are great places to look for the most recently completed doctoral theses, it’s often easier to look for a list of general topics to give yourself a proper starting point. As you are now aware, to get your PhD in education research topics are a vital consideration. Once you’ve chosen your topic after taking onboard the aforementioned advice, you’ll need to think about the general requirements for any doctoral program. These are the tips that apply no matter what your chosen topic or field of expertise might be. To have the best possible chance of success in obtaining your PhD in education research topics should be interesting enough that you can stay motivated at all times. In the real world, it isn’t as simple as this statement suggests. There will be times when you feel that you aren’t making much if any, progress. This is perfectly normal and to be expected. It is entirely possible to overcome and you’ll find that talking with your peers or uninvested external experts will help a great deal. 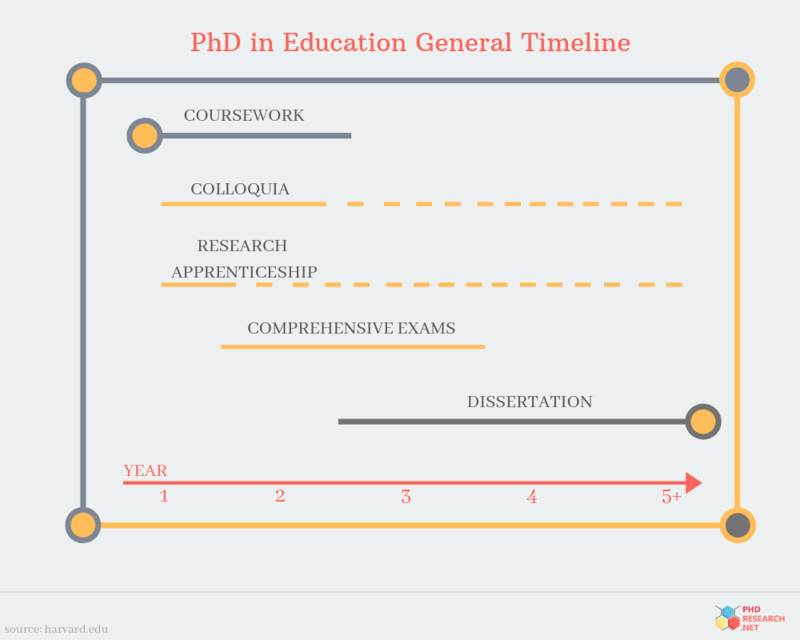 As doctoral research takes time and can still fall apart after several years of hard work, you need to make sure that you evaluate your progress every few months throughout your PhD. It’s like steering a ship in that you need to anticipate when to change direction before the event itself. Having read all of this, you should have a much clearer understanding of which PhD research topics in education you’d like to pursue. However far along you find yourself in the thinking process, a little advice from those who’ve been there and done that can go a long way towards helping you make your final decision. Use the education or HR PhD topics offered by us combined with the well-thought-out hints and tips to lead you towards a brighter academic future. When it comes to choosing PhD research topics in education, advice from your seniors really is indispensable. Ask the online experts for all the pointers you need to succeed!